The Walking Dead is The Walking Dead. That's a loaded statement so let me explain. 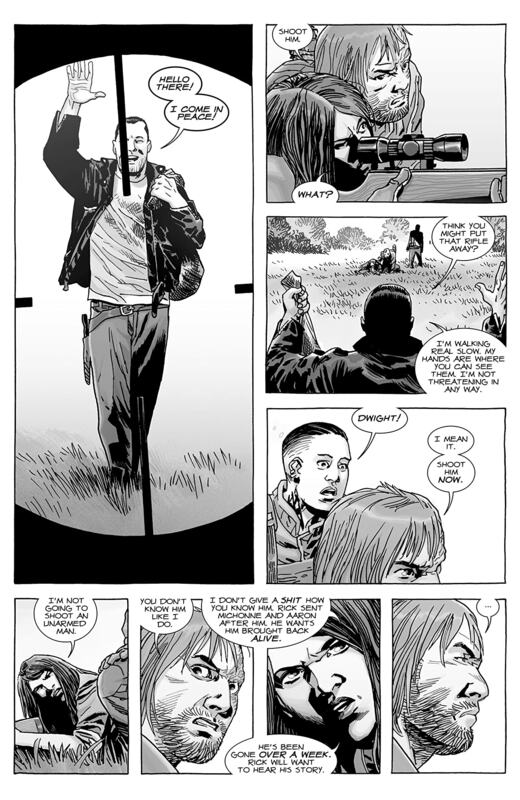 The Walking Dead is on volume 27 so its safe to say that this creative team has this formula down. If you think it would be getting stale by now you could not be more wrong. The Whisperer War is what this volume is titled and thats exactly what it is. The Whisperer War is about a pack of people that wear the skin of the walkers and lead them where they want to lay waste. 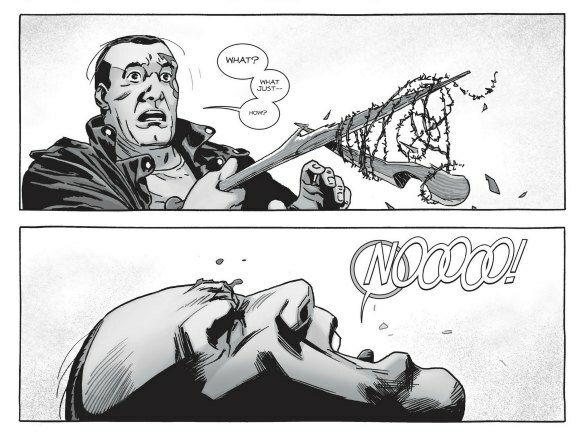 At the end of the last volume Negan handled their leader. Rick sent his people after him. The Alpha of the Whisperers had warned them not to go into their territory before so the war begins in this one. Rick sends people to recruit soldiers for the war. The Saviors decline and make it obvious where they stand. The Kingdom has new leadership that is being questioned. Dwight leads the soldiers against the Whisperers and some of the walkers. There are casualties and losses. The Hilltop takes the brunt of the attack. They may have won the first battle but the war has just begun. This is an interesting book to say the least. I thought this was going to be similar to the war with Negan and the Saviors. That could not be further from the truth. First of all Negan is trying to earn Rick and Dwight's trust back. He fights on the front lines against the first waves. There's actually a pretty revealing and peculiar moment in regards to Negan and Lucille. The fights are freaking intense and the book continues to do so as The Hilltop becomes overrun by the Whisperers and their army. The Beta is ready to end them all though. That's pretty much where this volume ends. As I said before this creative team has this formula down. When it comes to the art the art team has this down pat. The expressions in the characters faces are exuberant. There's so much life and depth their faces and eyes. The art is detailed and explicit when it needs to be. As a black and white comic the shading and grey tones are on point to the level of being practically perfect. The things that blow me out of the water the most are the panels, pages, and spreads that feature the outside world they live in. There's so much detail its extraordinary. The scope and view of the land is breathtaking and overwhelming. The art really sends home the message they're conveying. The Walking Dead is far from dying. In fact it's on the cusp of something great with this volume. It's called The Whisperer War but this war is just beginning. If you thought zombies were longer the threat you will be happily mistaken. I can't find anything wrong with this book. I can only praise it, for it's articulate illustrations and superb story telling. Twenty-seven volumes later and not only am I not complaining, I can't wait for the next one.